There are only a few instances, especially in India where a car gets involved in a serious accident and the owner thank the build quality. One such recent incident happened with a Skoda Rapid where the owner has appraised the “German build quality” of the vehicle. Even though Skoda is not a German brand, it is owned by the Volkswagen Group, which is based in Germany. 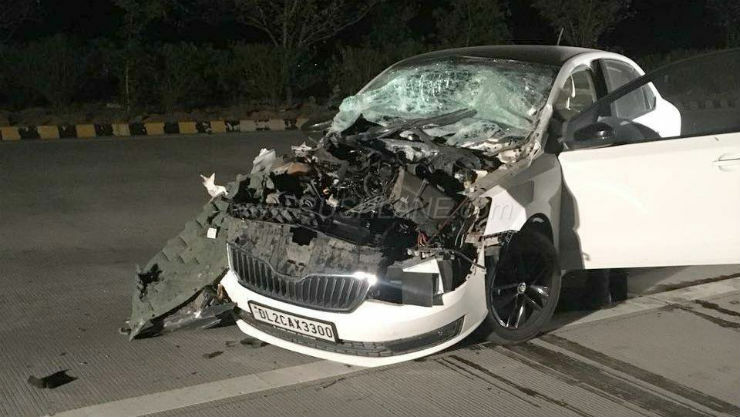 The owner, Udit Gambhir says that the accident took place on the Yamuna Expressway on 4th April. The incident took place at about 7:30 PM. According to Uday, the car was being driven by a driver and his sister was in the rear. 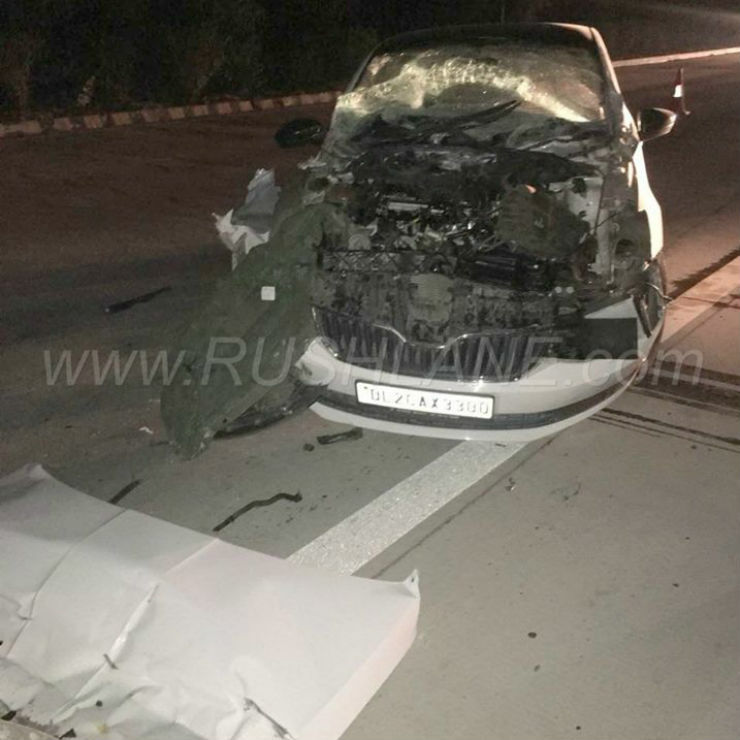 The car was moving towards Delhi when a truck changed lanes and applied the brakes suddenly. This Skoda Rapid was just behind and rammed into the truck’s rear. Most Indian trucks do not have the crash barrier that causes the vehicle to enter the bottom of such heavy vehicles. The Rapid also entered the underbody of the truck and was damaged badly. 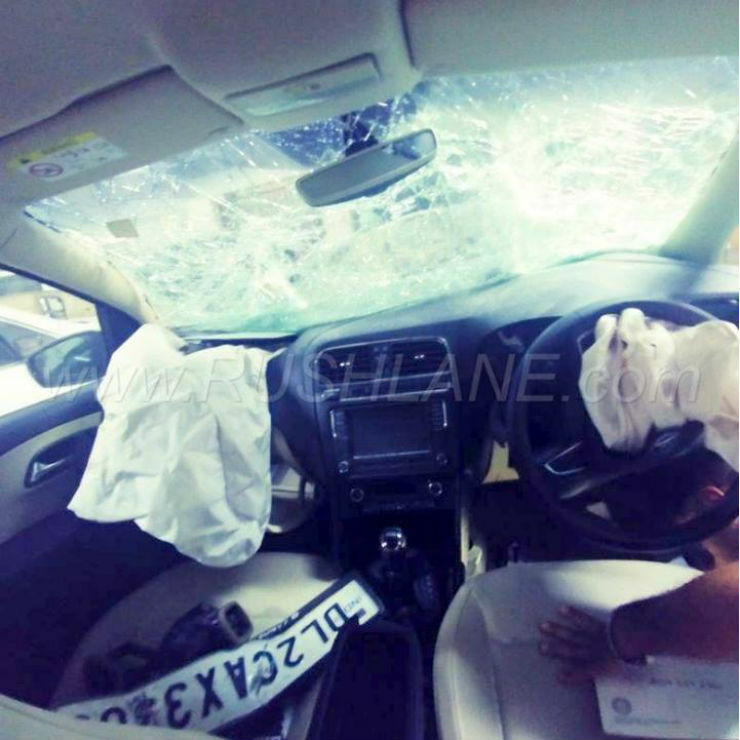 From the pictures, you can see that the bonnet cover has been destroyed completely and has fallen off the vehicle. The windshield has also shattered into pieces. We are not sure about the speed at the time of the impact but it looks like a high-speed impact from the pictures. The front airbags also opened upon the impact. Both the driver and the co-driver front airbags were opened. It is not known if there was a third person sitting in the vehicle as Uday has mentioned that his sister was occupying the rear seat at the time of the accident. The owner also says that the driver and his sister are fine and he owes it to the build quality of the vehicle to keep them safe. The car’s safety equipment like airbags, ABS, traction control and more are not enough for saving passengers alone. The structural integrity of the vehicles also plays a major role in the safety of passengers. Currently, there are no crash guidelines in the Indian car market but very soon, the new Bharat New Vehicle Safety Assessment Program (BNVSAP) will be implemented and all the vehicles launched in the Indian market after April 2019 will have to go through the crash test. The new rule of the crash test will also make it mandatory for the new vehicles to offer dual front airbags, seat belt buzzer, rear parking sensor and ABS as standard in all the variants of a vehicle.